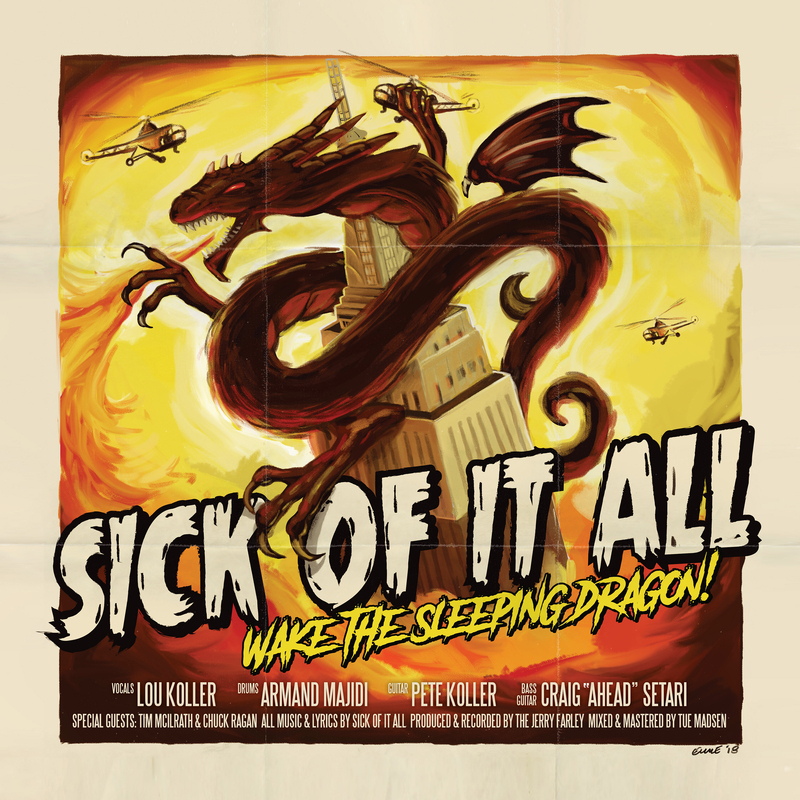 Fat Wreck Chords is thrilled to welcome SICK OF IT ALL back to the FAT family! On November 2nd, we’ll join forces with Century Media to release their latest opus, Wake The Sleeping Dragon! We could not be more excited to be handling the CD and LP in the US, as well as the vinyl in Canada. SOIA once again teamed up with producer Jerry Farley (Lamb of God/Every Time I Die) and came out with an absolute banger. If you missed the premiere of the lead single, “Inner Vision,” Consequence of Sound has you covered. Then, once you’ve had a chance to catch your breath, pre-order your copy!